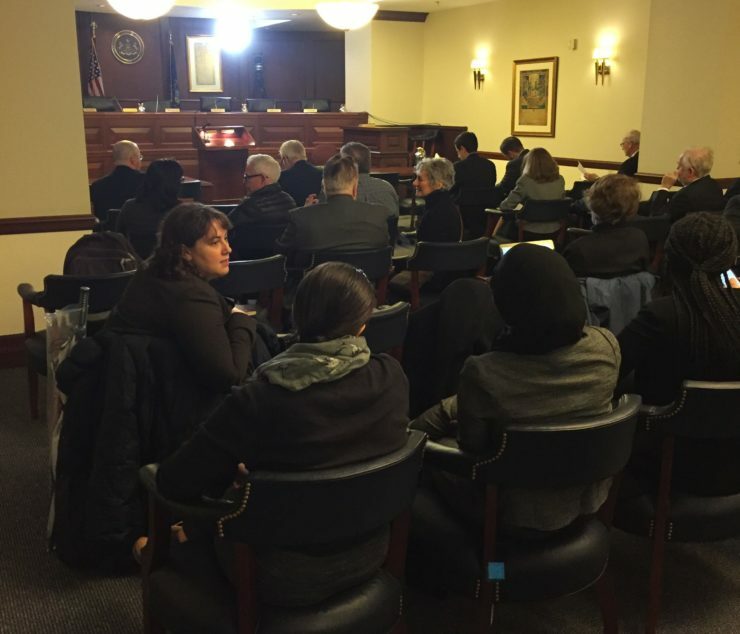 Today we presented oral argument to an en banc panel of Commonwealth Court judges in an effort to move our school funding lawsuit forward as quickly as possible. Recognizing the importance of this case, the Court held argument in spite of the fact that all other courts in the region decided to close for the day. 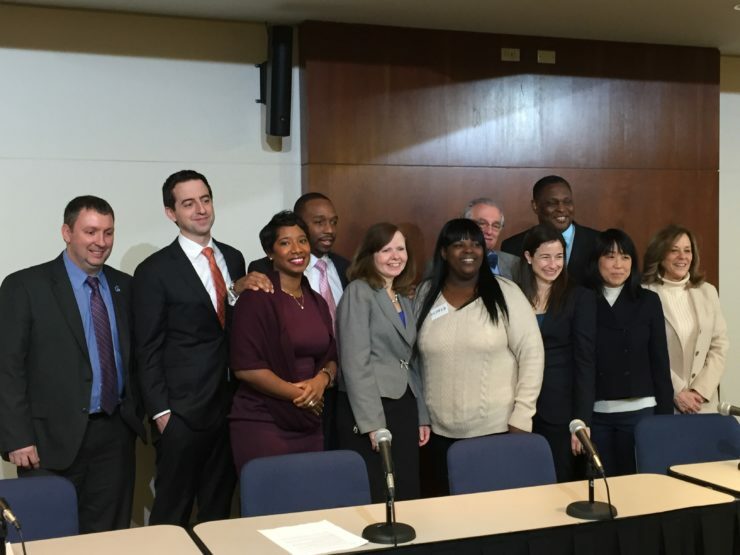 Many of our clients and partners, including our co-counsel from the Education Law Center and O’Melveny & Myers LLP, braved the rain and snow and filled the courtroom in a show of support. The Court heard arguments on remaining preliminary objections and a motion to dismiss. Attorneys for the legislative respondents – Representative Turzai and Senator Scarnati – argued that our constitutional claim has been rendered moot by the legislature’s adoption of the funding formula. Brad Elias, pro bono counsel from O’Melveny & Myers, argued on behalf of our clients. As he told the court, they are wrong. Walk into any low-wealth district today and you will see that the problem has not been solved. In fact, only 2% of school funding is distributed through that formula, while 98% is distributed in an inequitable manner, cementing massive disparities between low-wealth and high-wealth school districts. We also addressed legislative leaders’ argument that school districts have local control to alleviate these inequities. In reality, local districts, like our clients in the William Penn School District, are doing all they can to raise local funds for education, even raising tax rates to levels that are twice as high as neighboring districts. Yet they are still unable to generate enough local support to make up for the significant gap in funding from the state. The lack of funding translates into every day consequences for students. Our clients, Jamella and Bryant Miller, parents of two students in the William Penn School District, talked today about how their daughter and her fellow students are going to school in crumbling building. The students often leave school with soaked coats because a coat closet in one of their classrooms leaks every time it rains or snows. Superintendent Micahel Vukovich traveled more than 200 miles from the Greater Johnstown School District to be present. Afterward, he talked about how his district has had to lay off 50 teachers, close a school building, and eliminate after-school programs because of underfunding. The legislative leaders arguments have no merit. They are simply tactics to delay the case. But every year we do not proceed to fix this broken system is another year students throughout the state graduate without having had access to a thorough system of public education. We are therefore hopeful the Commonwealth Court will proceed expeditiously in ruling after today’s argument and move this case toward trial. Stay tuned as this most important battle continues.